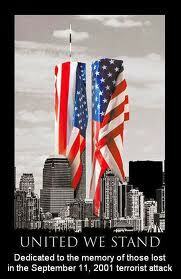 New York—This Sunday, September 11, 2011, marks the 10-year anniversary of the World Trade Center attacks. In 2001, after the World Trade Center buildings were destroyed, and thousands of businesses and residents were displaced or forced to relocate, many wondered if Wall Street would ever recover. Years ago, the Wall Street area of Manhattan was mostly filled with businesses, and after business hours would empty out. Now, however, downtown Manhattan is a desirable residential area. “Lower Manhattan is currently one of the fastest-growing residential neighborhoods in the city, with a population that has more than doubled—to 56,000—over the last decade,” according to the Alliance for Downtown New York’s “State of Lower Manhattan 2011 2nd QTR” report, with a projected population of 60,000 by 2013. Additionally, six primary and secondary schools have opened in the area. Financing from previous years, including the Liberty Bond from 2001 to 2005, which offered $1.6 billion, and the 421g program, which ran from 1995 to 2006, converted more than 15 million square feet of office space to residential use. According to the Alliance report, “Condominiums and rental units, most of which are luxury product, continue to dominate the inventory.” Currently, the apartment vacancy rate in downtown Manhattan is 0.7 percent. Though the catastrophic events of September 11, 2001, will always be remembered, the increased multifamily presence in Wall Street displays New Yorkers’ resilience in the face of tragedy and their hope for a better tomorrow. (Reuters) – Blizzards. Tornadoes. Floods. Record heat and drought, followed by wildfires. The first eight months of 2011 have brought strange and destructive weather to the United States. From the blizzard that dumped almost two feet of snow on Chicago, to killer tornadoes and heat waves in the south, to record flooding, to wildfires that have burned more than 1,000 homes in Texas in the last few days, Mother Nature has been in a vile and costly mood. Climate experts point to global warming, meteorologists cite the influence of the La Nina weather phenomenon or natural variability and, in the case of tornadoes hitting populated areas, many simply call the death and destruction bad luck. But given the variety and violence of both short-term weather events and longer-term effects like a Southwestern drought that has lasted years, more scientists say climate itself seems to be shifting and weather extremes will become more common. The year has been expensive, in terms of crops, property and lives lost. The National Oceanic and Atmospheric Administration has kept track of the cost of weather disasters since 1980, and 2011 has seen 10 separate natural disasters with economic losses of $1 billion or more, according to Chris Vaccaro, spokesman for the National Weather Service. The previous record was nine, set in 2008. The costs go ever higher, with the nine 2011 disasters even before Hurricane Irene two weeks ago costing $35 billion, Vaccaro said. Other years have been more expensive overall due to single events, such as Hurricane Katrina in 2005. But 2011 has already moved into the top 25 percent of the costliest years, and the hurricane season isn’t half over, Vaccaro said. The Federal Emergency Management Agency (FEMA) says it will need $5.2 billion in known disaster relief for the year that starts October 1. But that doesn’t include Hurricane Irene, which caused devastating flooding in Vermont and New Jersey, and is expected to cost at least $1.5 billion in relief, FEMA says. The year began with what was called “Snowmageddon” — heavy snows in multiple states, including the south. Kansas got up to 40 inches in some areas in a month — the same as a typical total for the whole winter. New York had its snowiest January on record. Snow melt, combined with a wet spring, caused flooding on the Mississippi, Ohio, Souris and Missouri Rivers. On the Mississippi, records set in the historic floods of 1927 and 1937 were challenged and exceeded along the nation’s largest main river artery, resulting in evacuations and millions of acres of flooded farmland. In the Missouri River valley, flow rates broke previous records, damaging levees and highways. The year has also been the 4th deadliest tornado year in U.S. history with 546 deaths, according to the NWS. The May 22 tornado that hit Joplin, Missouri, took 160 lives, making it the deadliest single tornado since 1947. This summer, the country also baked under days of 100-plus degree heat, with records smashed in northern locations like Newark, New Jersey, which saw a high of 108 degrees. Texas saw what looks to be its hottest summer, making that vast state into a tinderbox. Wildfires have scorched more than 3.6 million acres since November, fed by a drought that has caused more than $5 billion in damage to the state’s farm industry. In Oklahoma, the average statewide temperature of 86.8 degrees from June to August 31 broke the 85.2 degree mark set in 1934, according to Gary McManus, associate state climatologist. The heat killed 21 people in Oklahoma alone. 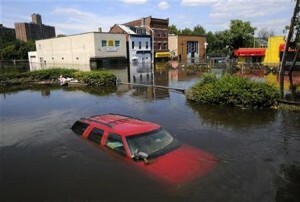 Finally, the beginning of hurricane season caused flooding in the aftermaths of Irene and Tropical Storm Lee. The country is already on pace to break the all-time record for the number of tropical storms strong enough to merit names, Masters said. Many years have extreme weather events. Older Americans may recall the “Dust Bowl” of the 1930s, or the bitter Midwest winters of the late 1970s. Judith Curry, a climate scientist at Georgia Tech, noted in a blog post this week that active hurricane seasons, heavy snowfalls, and floods and severe drought in Texas are reminiscent of the 1950s. “Natural variability is a plausible explanation for variations in extreme frequency and also clustering of events,” Curry said. While most climate scientists agree that human actions are causing global warming and climate change, not everyone does. Republican presidential front-runner Rick Perry said last month he does not believe in man-made global warming, calling it a scientific theory that had not been proven. Other political conservatives have questioned evidence of man-made climate change and government plans that could slow it. Katharine Hayhoe, an atmospheric scientist at Texas Tech University, said policy is not black and white, and there has to be debate over policies to address climate change. But policy opinions are one thing and scientific facts another, she said, adding that she is troubled to see more of the general public doubting climate change even as more scientific evidence piles up to support it. For those looking for a bright spot amid the barrage of depressing data recently, news that housing prices were up for the third month in a row might have buoyed morale a bit. The latest data from the Standard & Poor’s/Case-Shiller homeprice index showed that home prices in the nation’s largest metropolitan areas ticked up 1.1 percent, on average, in June, following a 1 percent increase in May. Chicago and Minneapolis saw the largest month-over-month increases, both recording 3.2 percent increases in home values, on average. Even metro areas hit hard by the foreclosure crisis saw incremental gains: Atlanta posted a 1.5 percent increase, while Phoenix saw a 0.3 percent gain. So has the housing market finally found its footing? Underwater mortgages, distressed properties. The housing market meltdown has left millions of Americans owing more on their mortgages than their homes are worth, and until sagging prices stop draining home equity, that debt overhang will continue to bottleneck the housing market. The number of Americans facing serious delinquency on their mortgages is rising as well, another troubling fact that could translate intoeven more foreclosures flooding the market. On top of fresh foreclosures expected to hit the market, properties held up for legal reasons are likely to stream onto the market in the coming months as well. Finally, abandoned or vacant homes—the product of overbuilding—only add to the glut of supply and will pull down home prices for the foreseeable future. Index methodology. Although Case-Shiller numbers have become one of the most popular metrics used to measure house prices, critics argue that the indices shouldn’t be used to gauge the health of housing market from a consumer point of view, primarily because they lag signed contract data by about six months. Since the end of June—as far as the data goes back—the country has endured a slew of natural disasters, a debt downgrade that shook consumer confidence, and reports that America could be slipping into another recession, none of which have been factored into the most recent Case Shiller numbers. Get it Done. Together. is the Department’s new pilot program aimed at accelerating construction project approvals and spurring economic growth across the City. Under the pilot program, the Department’s five Borough Commissioners and senior representatives from other City agencies will form a working group to meet with private industry members and property owners to further streamline permitting requirements, resolve regulatory conflicts and cut the red tape that surrounds some of the City’s largest and smallest projects. During weeknights in the month of May 2011, the working group met with property owners, licensed architects and/or engineers and filing representatives whose projects have yet to be approved due to previous objections raised by the Department’s Plan Examiners. Due to the success of the pilot program, the Department has extended the program trhough the month of August from 2:00pm to 5:00pm during the day. If you have any further questions, please email GetitDoneTogether@buildings.nyc.gov. (Reuters) – Housing starts rose more than expected in June to touch a six-month high and permits for future construction unexpectedly increased, a government report showed on Tuesday, likely reflecting growing demand for rental apartments. “It’s stronger than expected in starts and housing. But nevertheless despite this out-sized monthly gain, it really does not suggest a return to strong housing market. We are still very much bouncing along the bottom. We have seen this volatility here and there. “While it certainly doesn’t suggest renewed weakness in the housing market it does not suggest we are turning a corner. When we look at the breakdown regionally, the majority of activity we saw was concentrated in the south. So I am wondering if there was some sort of seasonal factor, some sort of area specific factor that is driving that activity. We don’t see it throughout the country. Certainly something is driving demand down in the south. But it’s nothing to get too excited about. It is still a very tepid environment. “There’s really not a reason to suspect that a long-awaited cyclical recovery is beginning now. We had a bigger month-to-month increase in January to a level a little bit higher than the level in June. In my view we’re still chopping around in a range that started a year ago. “But it’s good news, it’s better than expected. I’ll take it. “I do not think one can interpret the increase in starts this morning as the beginning of the far side of the ‘V’ in the cycle…but it certainly confirms that housing is not going to be a drag on GDP anymore in terms of housing construction. Again, starts have to start climbing at some point, but I can’t give you a good reason why it should be this month. “You take the good news when you can get it, because there hasn’t been much of it. While this beat is sizable and the first since January, context is everything. We’re only at the top of recent lows. This doesn’t change our call on residential construction one bit. NEW YORK (AP) — A rigger who worked on a massive construction crane that collapsed and killed seven people has been stripped of his licenses after an administrative judge said his sloppy work was to blame for the collapse, despite his acquittal on all criminal charges last year, the city Buildings Department said Wednesday. The license revocation bars William Rapetti from running any cranes or overseeing their assembly in the city, and the judge’s finding that he was responsible for the catastrophe could come into play in the cluster of lawsuits surrounding the collapse. Rapetti lawyer Marianne Bertuna said the rigger was very disappointed in the decision and considering fighting it in court to try to get back to the work he’s done since he was 17. The crane toppled onto a residential neighborhood in midtown Manhattan in March 2008, killing six construction workers and a tourist, hurting two dozen others, demolishing a four-story town house and damaging other buildings as pieces of the rig flew as far as a block away. Coupled with a second Manhattan crane collapse that killed two people two months later, the disaster raised questions about crane safety around the country, spurring new inspections and other measures from New York to Chicago to Dallas. Building officials, the federal Occupational Safety and Health Administration and prosecutors have long attributed the March 2008 collapse to the failure of four heavy-duty nylon straps that Rapetti and his crew were using temporarily to fasten an 11,200-pound steel collar around the crane. The straps are known as slings. Rapetti used half as many straps as the manufacturer called for, didn’t pad them to keep them from fraying against the crane’s metal edges and used a visibly worn sling that ultimately broke, overloading the remaining straps, the officials said. When the straps gave way, the collar plummeted down the nearly 200-foot-tall crane, destabilizing the rig by snapping metal beams that tethered it to the building under construction, they said. In both the criminal trial and a seven-day administrative hearing this past December, Rapetti’s lawyers argued that he had followed crane industry norms and that the straps weren’t the reason for the collapse. His attorneys pointed to other factors, including the crane’s design, which didn’t anchor it to the ground in the usual way, and bad welding in the tethering beams. A state Supreme Court judge cleared Rapetti of manslaughter and other charges last July. His was the only criminal trial stemming from that collapse. But in the license revocation proceeding, city Administrative Law Judge John B. Spooner found Rapetti was negligent and violated several city building laws. Rapetti’s license had been suspended since 2009; his lawyer said the suspension was with his consent. The judge recommended revoking Rapetti’s license; the decision ultimately was LiMandri’s. It “underscores that the city will not tolerate professional licensees who cut corners, use shoddy equipment, and ignore construction and crane regulations,” city Department of Investigation Commissioner Rose Gill Hearn said in a statement Thursday. Her agency also investigated. Almost a year to the day after his acquittal, Rapetti, a married father of three, has been making ends meet by doing some construction jobs that don’t require licenses, his lawyer said. He didn’t have the resources to hire the experts he’d had in his criminal trial for the license hearing, she said. She said he has been grappling, too, with emotional fallout from the collapse, which killed men he had counted among his closest friends. New York’s two 2008 crane collapses led to the resignation of LiMandri’s predecessor and a host of new crane safety measures, ranging from hiring more inspectors to banning the use of nylon straps unless a crane manufacturer recommends them. In the aftermath of the collapses, former chief city crane inspector James Delayo admitted taking more than $10,000 in payoffs to fake inspection and crane operator licensing exam results; the charges weren’t directly tied to the fallen cranes. Another crane inspector, Edward Marquette, was charged with pretending to have inspected cranes when he hadn’t — including a check of the one that collapsed days later in March 2008. Marquette has pleaded not guilty. Rapetti’s lawyer made note of both cases during the hearing on his license, according to Spooner’s ruling. But the administrative judge said inspection issues weren’t a factor in the collapse. Construction spending in New York City dropped 12% last year, falling to its lowest level since 2005, according to a new report. Builders cut back on residential housing and office buildings even as the city’s economy slowly began adding jobs again. Part of the drop last year was due to big projects like the new Yankee Stadium and Citi Field wrapping up in 2009. The number of construction workers also fell by 8,900 to 111,800 in 2010. It’s the fewest construction workers employed in the city since 2004. Still, there were some bright spots for the industry. Spending held up on projects for government, universities and the health-care industry. “There is good news—and a lot of question marks,” said Richard T. Anderson, president of trade association New York Building Congress, which prepared the report. Overall, builders spent $23.7 billion last year, down from $27.1 billion in 2009. Spending has dropped 23% since peaking at $31.06 billion in 2007. Spending on residential construction fell by 14% to $2.2 billion last year from $2.6 billion in 2009. “It has effectively come to a screeching halt,” Mr. Anderson said. During the real-estate boom, the construction industry churned out 34,000 homes or apartments a year. Last year it produced only about 5,400. Even though the jobless rate improved last year, the city ended 2010 with nearly 9% unemployment, and demand for office space remains weak. Spending on nonresidential construction fell by 10% to $8 billion from $8.8 billion. It would have been even worse if not for a few large projects, including the World Trade Center and the new basketball arena at the Atlantic Yards in Brooklyn. Government projects from the city and the state continued to be a reliable source of work for the construction industry. “The big question is what happens after this year,” Mr. Anderson said. State agencies like the Metropolitan Transportation Authority and the Department of Transportation still don’t have capital budgets in place for 2012, worrying many in the construction industry. 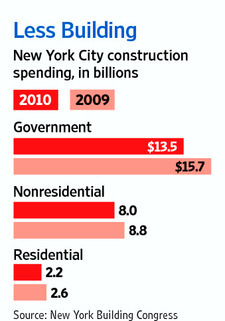 The building congress forecasts that construction spending in the city for 2011 will be flat at about $24 billion. “So far in 2011, there seems to be an increased level of activity and optimism,” said Joseph Mizzi, president of Sciame Construction Co., which builds projects for local universities and cultural institutions. New York City is a global city, whose bedrock is the strong character and diversity of its neighborhoods.The Zoning Resolution reflects this complexity and presents a framework for development that builds on the unique qualities of each of those neighborhoods. Zoning is the language of the physical city: it is a three-dimensional blueprint for what any area of the city can become. For the last eight years, zoning has been an instrumental tool in helping us ensure the sustainable growth of New York City by encouraging development in areas well-served by mass transit. We have continued to fine-tune the Zoning Resolution to make it more versatile and responsive, to better address issues of neighborhood character and social equity as well as to help promote investment in the city’s future.We have expanded our ‘zoning toolbox’ by adding new zoning districts tailored to individual communities and have endeavored to improve the public realm by creating new design guidelines for waterfront public access and public plazas to guarantee that they are inviting and well used. Underlying all of City Planning’s efforts has been a focus on the human scale of the city, and we have tried to achieve this through the integration of urban design with zoning. The Zoning Handbook has been designed to be readable, entertaining and informative. Annotated diagrams, photographs and easily understandable charts help demystify the Zoning Resolution. This 2011 edition has been expanded to include City Planning’s latest zoning districts and text amendments. While it will continue to be a significant tool for all New Yorkers, not just land use specialists and zoning experts, this Handbook should not be used as a substitute for the Zoning Resolution which is available online for free at www.nyc.gov/planning. The Handbook is intended to make zoning more accessible to all, and to help New Yorkers advocate for their neighborhoods. Planning initiatives are most successful when there is full participation by residents, elected officials and other stakeholders. We hope that this new edition will facilitate that involvement and encourage a robust engagement by all those involved in the public land use process. More than 1,000 construction workers are killed on the job every year, according to the National Institute of Occupational Safety and Health, and tens of thousands are injured in workplace accidents. March 27, 2011 /24-7PressRelease/ — For years, Brett McEnroe and Roy Powell worked together on construction sites throughout New York City. Ironworkers, McEnroe, 49, and Powell, 51, were used to the cold and the heights and generally followed strict safety laws, which required preparing safety platforms and wearing safety harnesses. But on February 9 while working on a church in Manhattan, the two friends both plummeted to their deaths in a tragic construction accident. According to the police, the men were not using their safety equipment as they worked on an elevator nearly 70 feet above ground. It’s unclear why the two, who both won safety awards during their long careers, were not wearing the harnesses that would have prevented them from falling or why nets that would have caught them had not been prepared. The construction site had been cited for a variety of violations by the city Buildings Department and was under investigation for failing to follow safety precautions. Among the violations was the failure to use guardrails and scaffolding by the construction manager, F. J. Sciame of New York. The men were employed by Cross County Contracting of upstate Ulster County, N.Y. The Environmental Control Board also cited the worksite for 10 violations, including a notice for not securing scaffolding. Co-workers couldn’t fathom why the experienced ironworkers did not follow safety guidelines. Both men had 30 years’ experience, and Powell was named Ironworker of the Year in 1999 by a trade association. They had used the safety equipment on the lower floors of the building and brought the harnesses with them to the top of the elevator but had left them on the side. More than 1,000 construction workers are killed on the job every year, according to the National Institute of Occupational Safety and Health, and tens of thousands are injured in workplace accidents. In the event of injury, or even death, experts strongly suggest contacting an experienced construction injury attorney to gauge the legal options available. New York City education officials are set to approve a school construction budget on Wednesday that would significantly cut the number of schools to be built in the next three years, as the city faces what it says is a new cap on state construction aid. The School Construction Authority’s $9.3 billion budget, which covers work through 2014, will go before the Panel for Educational Policy, where it is expected to pass, and will then move to the City Council. Instead of the 56 new schools that the Council approved last year, the budget would support the construction of 26 schools across the city, reducing the number of places for new students to 14,000 from roughly 28,000. The cuts come as class sizes have swollen in much of the city, a situation serious enough that the city has received a state waiver from court-mandated class size reduction targets for all but 75 of its nearly 1,700 schools. Between 2005 and 2009, the state matched New York City in school construction financing, resulting in a $13 billion building boom. But with the state facing a huge budget deficit, Gov. Andrew M. Cuomo has proposed a limit of $2 billion for school construction, with at most half of that going to the city. Mr. Cuomo’s office, however, argues that the nearly $1 billion in assistance that the city is set to receive next year is more than it provided last year, and that the city’s move to build fewer schools is a result of its spending choices, including a $180 million increase on technology. In District 24, the heavily crowded area around Corona, Queens, the city’s capital plan last year budgeted new space for 4,300 students; that number has been cut to 2,200. Among the projects that would be delayed are a new gymnasium and classrooms for 120 students at Public School 87 in Middle Village, Queens. At P.S. 87, students have gym classes in a basement lunchroom, and there are only two bathrooms each for the 600 boys and girls in the school, causing long lines, said Councilwoman Elizabeth Crowley, who represents the district. “The community has waited more than 10 years for this, and it’s pennies in the scope of things,” Ms. Crowley said. But she said she was hopeful that the State Legislature would restore some of the financing in the budget negotiations in the coming weeks. In District 2, which includes TriBeCa, Chelsea and the Upper East Side, last year’s plan had provided for eight new schools for 3,666 students; the new blueprint contains construction plans for 1,400 students. Among the projects that would have to wait is a new school that will one day occupy part of the Foundling Hospital in Chelsea. Planning for it can continue.